Growing up, birthdays and Christmases were about the only times I would ever get new games. I was always excited to play them right away, but when you're a kid, you have to at least feign courteousness and wait for everyone else to open their gifts and visit a while before holing up in your room with your Sega Genesis. At least, that's how my Christmases always worked. Anyway, to keep myself sane through the wait, I would thoroughly go over the supplemental material that came along with the games I got. Year after year of this repeated behavior ingrained it in me to the point where I now mentally tie together memories of reading game manuals with the holiday season. 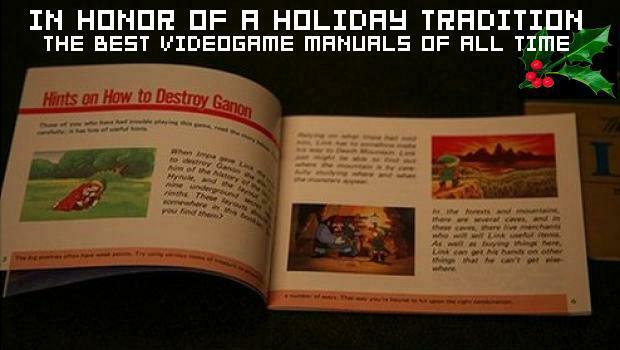 Yes, as silly as it sounds, reading videogame manuals is a holiday tradition of mine. Consequently, I can't help but think of shrinking manual sizes around this time of year. I know that they are fast becoming extinct for several good reasons: saving paper, ink, money, and utilizing in-game tutorials. And I'm all for these changes. It's just a little sad to see something you grew up with vanish completely, leaving nothing but thin, uninteresting leaflets in their wake. Interesting tutorials are too few and far between to fill the hole that's left. Being sad around the holidays is no good, so let's just think to the glorious past for a while. Here are the seven best videogame manuals of all time... or, at least my personal favorites! To have come around after three-page instruction booklets had long been the standard, the manual to We Love Katamari just so happens to be (in my opinion) the epitome of what a paper manual should be: full-color illustrations that take up entire pages and a sense of simplicity in its instructions that matches the game they describe oh-so-perfectly. Even "screenshots" from the game are drawn, softly weaving them amongst the rabbits and foxes rolling Katamaris in the background. Would it be silly of me to say that this collection of paper that tells you how to play a game is a work of art? Because I totally think it is. Thinking about this manual makes me sad that paper manuals will someday not exist at all, and even more sad that the majority that are still being made do not utilize the space in better ways. You can view this manual here. Though I never personally received a brand-new copy of EarthBound, I know I would have been blown away by the manual it came with. Heck, I'd still be blown away by it. It had over a hundred pages of information to help you through the game, and was so big that the box it came in was twice the size of a normal SNES game. And oh, what a manual it was. It gave you details on every single enemy in the game. It let you in on the little secrets you would miss otherwise. It included newspapers from all the major cities of Eagleland that detailed all the goings-on and travel brochures. Best of all, it had a sense of humor about its design and writing that brought it in line with the game itself. 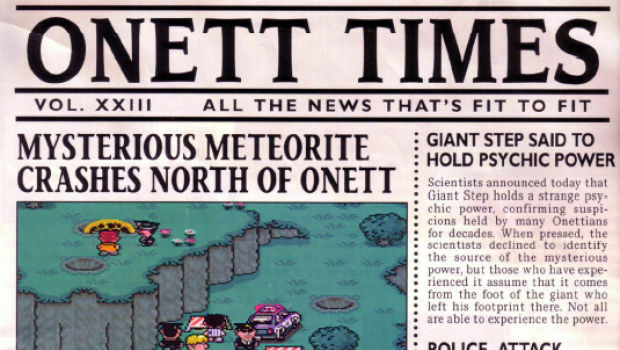 I imagine that it caused established fans to smile and newcomers to become enchanted with the EarthBound universe. For even more evidence of this manual's majesty, look no further than the Mother 3 Handbook, which I do own. The folks at Starmen.net/Fangamer modeled this book almost exactly after the EarthBound Player's Guide, right down to the page layouts, tone of writing and images of clay figurines. It is the ultimate love letter to a fantastic manual (and game!). I can still remember the day that I got Pokémon Red. My family had taken a trip to the closest Toys R Us to get it, which was still rather far away from our little home out in the country. Not one to break tradition, I chose to pore over the manual all the way back home, even though I had brought my Game Boy along. It was nowhere near as huge as EarthBound's pack-in guide, but that made what Nintendo managed to cram into a standard-sized Game Boy booklet all the more amazing. It took the reader all the way through to the first Gym Leader fight with Brock. 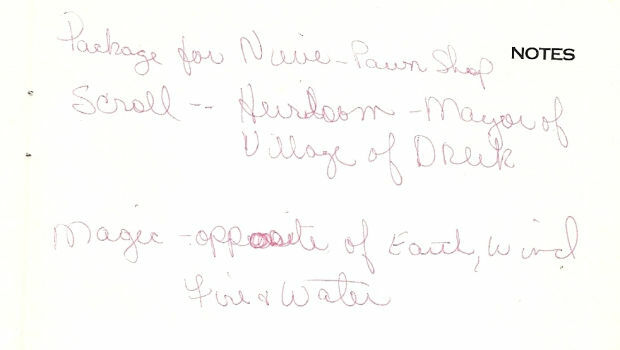 It included a map of Kanto, an element chart, and tips out the wazoo. This manual did a great job of easing a newcomer like myself into the world of Pokémon, but even more importantly, it got me pumped to collect all 150 critters. 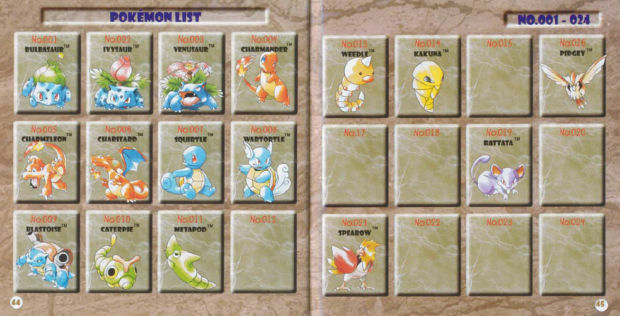 In the very back of the manual was a bestiary; any Pokémon mentioned throughout the guide (which were things like Pidgeys and Ratatas) had their pictures and names filled in, but the majority were just blank squares. The thing was not really practical for use, as it wasn't a simple checklist you could just mark off as you progressed. It may have worked with Pokémon stickers, but none were included! That's why I'm convinced that part of the manual was included only as a tease, and boy did it ever work. I ended up getting Blue not long afterward, just to mentally fill in every last box. Lots of games released during the 8-bit era came with really great manuals. It wasn't uncommon for them to be loaded with original artwork, seeing as how the era's graphics left a lot to the imagination. The first one to come to mind for me is Super Mario Bros. 3, likely because it was one of the first game manuals I ever remember reading. I'm using the word "reading" quite loosely, as I was quite a bit more interested in the pictures at the time. 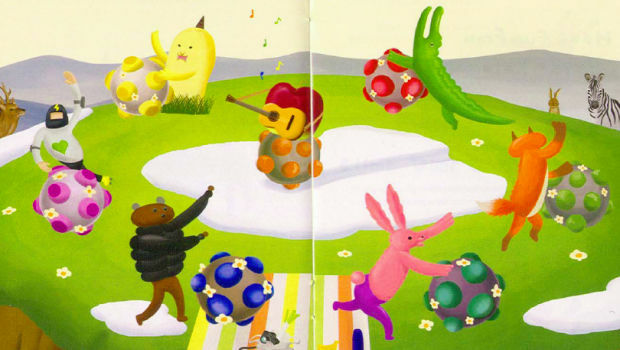 The thing was pretty much a My First Videogame picture book. 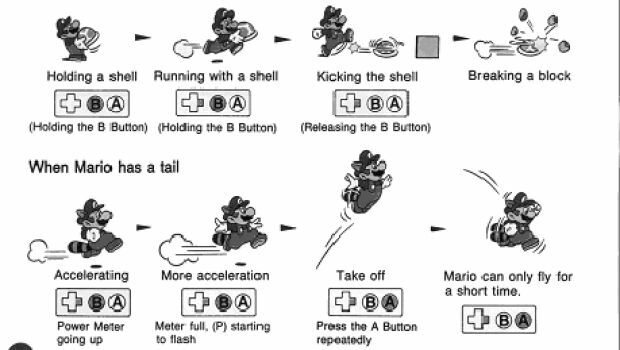 Every move was marked on its own little mock-up of the NES controller, and above them were pictures of Mario doing the move. Considering that this was the first platformer I ever played (yes, even before the original Mario Bros.), these diagrams really helped three-year-old me to understand the relationship between the player's input and the character on the screen. All the years before, I thought videogames were just another television show that used a strange cable box and remote. One of the more infamous "manuals" in gaming history came from StarTropics in the form of a seemingly innocent letter written by the main character's uncle. It initially seems like the usual distant family stuff about how much he misses you and can't wait to see you on your coming vacation to C-Island, and blah blah blah. Of course, once you start the game and get to C-Island, you end up having to save your good old uncle from aliens. Much further on in the game, you receive instructions to dip a letter in water to find a secret code. The game doesn't specify which letter you're meant to dip, and most people tended to look through their in-game inventories first. 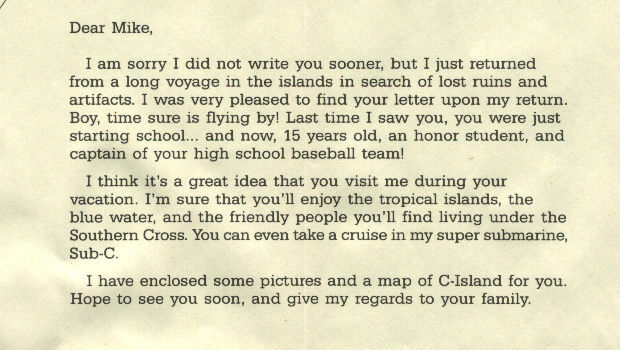 Only those lucky enough to have the full StarTropics package would be able to pass this part, as the letter in question was the physical copy of Uncle Steve's letter included in the game package. Upon being dipped in water, the letter would reveal a secret code to the player. It was a very cool idea (so cool that it was featured in a Memory Card! ), but the best thing about it was that it displayed what I think of as a lost art in manuals these days -- in-character writing. I have always enjoyed it when NPCs speak directly to you, instead of to you through your character, and manuals used to do that sort of thing all the time. Another great example that comes to mind is the Donkey Kong 64 manual, which was entirely written in Cranky Kong's voice. No one does that anymore. Starting with the second game, the MGS series has had very clever (and eye-pleasing) action comics placed within the pages of their manuals. The art styles have changed with each iteration, but the execution is always the same. They all follow the adventures of Snake as he learns the basics of the game, usually being told to him by Otacon via codec. The games share a lot in common with action comics, from their crazy plots to their emphasis on grand and action-packed scenes. 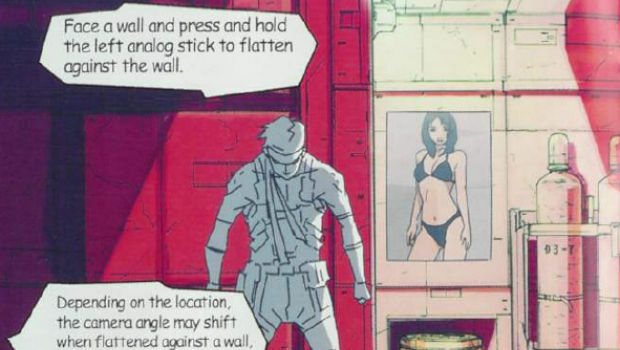 In a weird way, the comic-style manuals almost served as a precursor to how the franchise would later be handled; full comic versions of MGS1 and 2 have since been made, and games like Portable Ops and Peace Walker have even slowly turned into moving, (mostly) playable graphic novels through Ashley Wood's artwork. Since the series kept the tradition up through the latest installment, perhaps we'll continue to see these in future Metal Gear game manuals. You can view these manuals here, here and here. Admittedly, there is nothing that special about Sonic 3's manual. It was pretty standard, with a small background story snippet, control explanations, a rundown of each level and images of all the robotic enemies the player would encounter. Regardless, I had to say a little something about it because of what it means to me personally. This is the one that I have the most vivid Christmas memories of. Years spent playing nothing but Sonic 2 had primed me for the day. I ripped open the paper and flipped open the book inside so that I could gobble down every bit of information about the next game in my (then) favorite series. Before I saw Angel Island and met Knuckles in the game, I read about them in the manual. Later, when I had trouble finishing the game, I read again about the levels I couldn't reach. 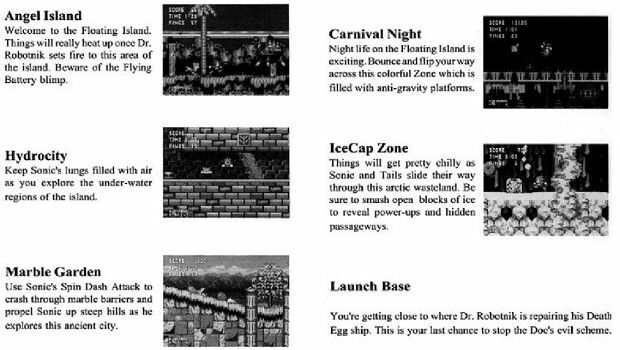 It captivated me, and though I never got past Carnival Night, seeing those pictures of IceCap, Launch Base and all the enemies I had yet to encounter drove me to at least keep trying. This little booklet also managed to leave with me a good amount of useless trivia; for example, I bet I'm the only person here who knows that Knuckles' favorite food is grapes. I have the Sonic 3 manual to thank for that. A long-running joke among gamers concerns the uselessness of notes sections. Pretty much every manual had one, yet no one I know has ever used 'em. Someone out there must, however, because it seems that every secondhand game I buy includes a manual with the notes section filled by a stranger's scribblings. A used note section can be an interesting little insight to a stranger's gaming habits. I've gotten notes as simple as copied passwords and as complicated as huge drawn maps and graphs. The image above came from my booklet for Dark Wizard; whoever owned it first filled up not only the notes pages, but around five slips of paper they tucked into the manual. I love reading these things to the point that it makes me wish I had used all those blank pages for something. Now that I've shared my favorites, how about you? Do you have any favorite game manuals or fond memories of them to share? At any rate, have a great holiday season, and be sure to take a little time to remember these things before they are gone. Also, a big thank-you to services like replacementdocs that will serve to help keep these memories alive much longer.